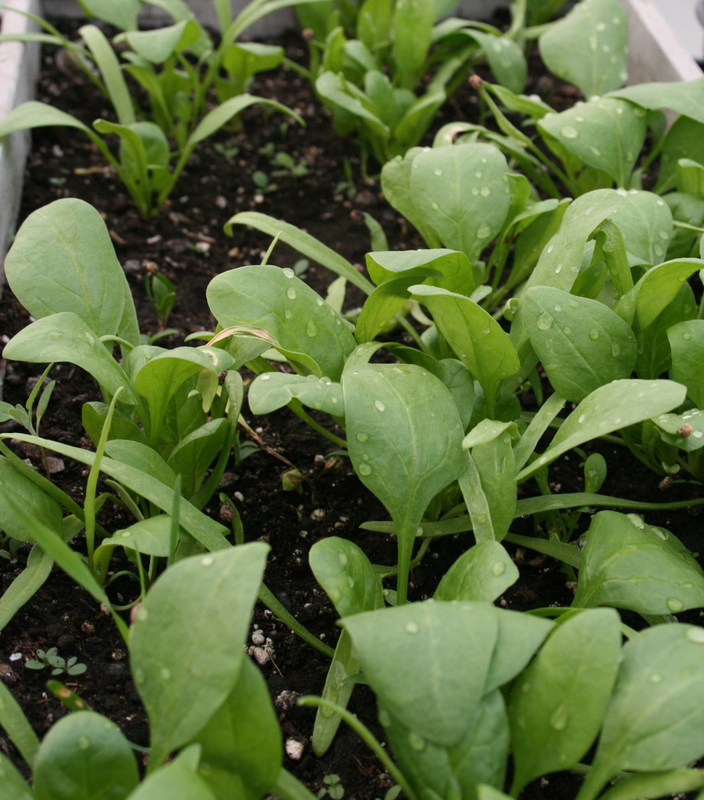 Tasty, tender, baby spinach greens. I don’t mind if I do! I’m presuming these are all grown in a greenhouse. And how nice to have early fresh greens! great outcome! i grew spinach this winter for the first time and it was one of my better experiments! yours look fab!! I don’t have space or much sun, Stacy. Do you think this would do well in a pot? I usually put my herbs in pots and I’m thinking about putting lettuce greens in one this year. Paula, Pots should work great. Last year I planted a few pots up with assorted leafy greens. I dropped them into little chinese take out boxes for a lunch–and people took them home as gifts. Give it a try. I just emptied 3 or 4 different seeds in a bowl,mixed and planted!